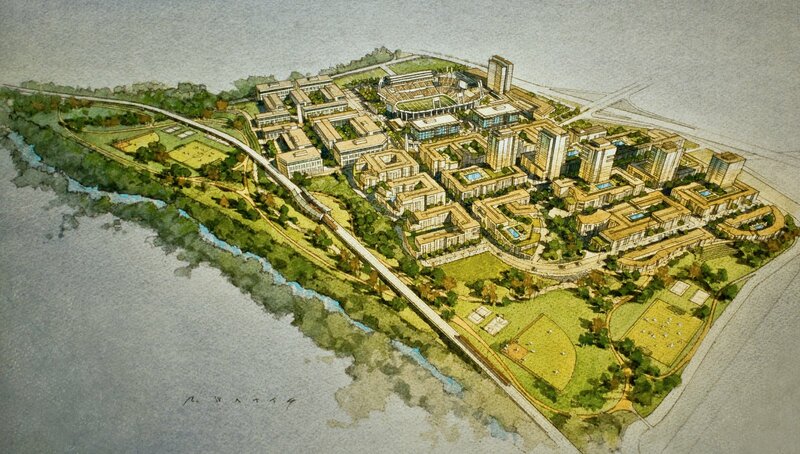 New football (& soccer) stadium of San Diego State University is expected to be built in Mission Valley, on the site of existing Qualcomm Stadium. 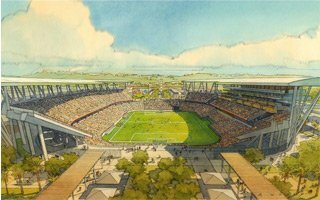 While the new stadium would be built just west of the old one, Qualcomm is to be demolished in order to make way for surrounding developments. 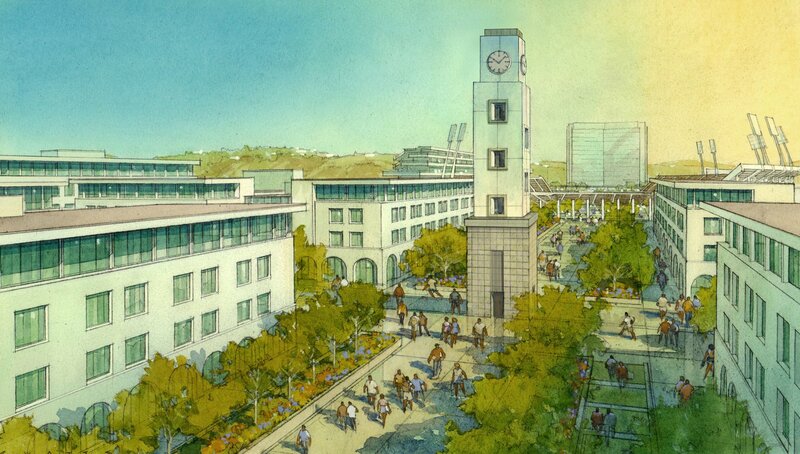 These include 4,500 housing units, 90,000 square feet of commercial space and a 450-room hotel. With very traditional layout, the stadium's main grandstand is located in the west, offering a series of spacious terraces, only partly covered. This is where bulk of the building's hospitality offer will be housed, however an interesting addition is planned behind the south goal, with cascading decks. 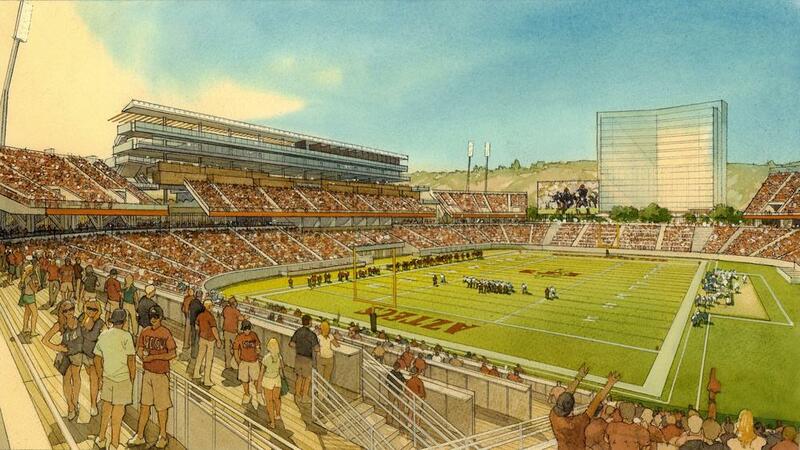 Initial layout of the auditorium leaves open the prospect of adding roof over the west and east stands. 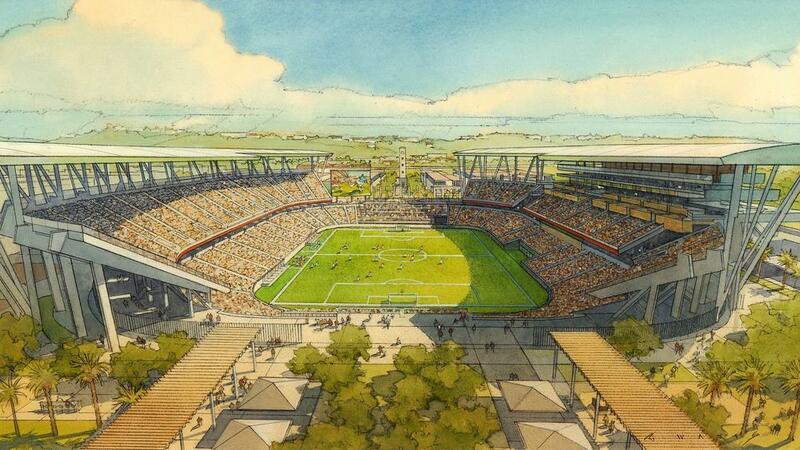 It also enables expansion to the NFL-desired 65,000 seats, should there be actual need for it. 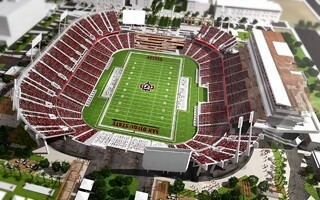 With construction partner in place, now San Diego State University is looking for the architect who will create their new 35,000-capacity stadium, successor of the aging Qualcomm Stadium.